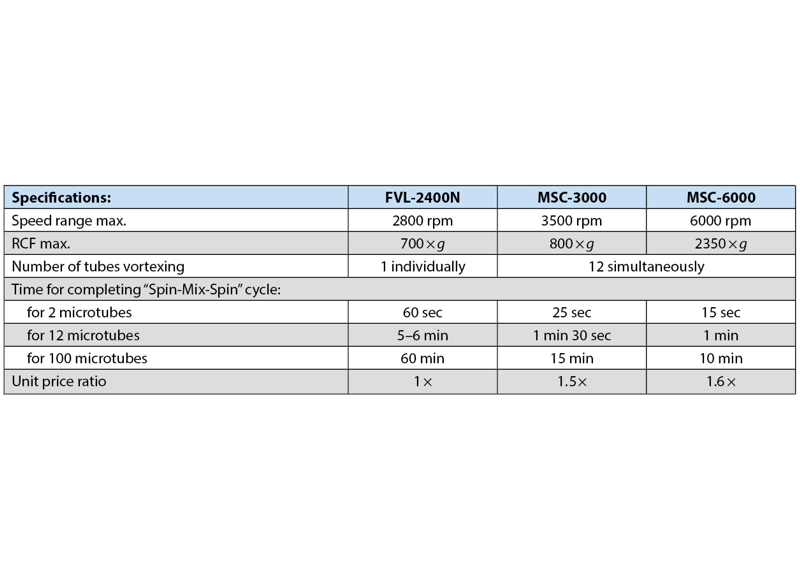 Centrifuge/vortex Multi–Spin MSC-6000 is product of many years evolution of Spin–Mix–Spin technology that is intended for collecting micro volumes of reagents on the microtube's bottom (first centrifugation spin), following mixing (mix) and collecting the reagents again from the walls and cap of the microtube (second spin). We named this repetitive algorithm of operation that is aimed at reducing the mistakes during sample preparation for PCR analysis a “sms–algorithm”. Multi–Spin is a fully automatic device for reproducing sms–algorithm for 12 tubes at one time, thus saving time considerably. A must-have instrument for PCR and DNA analyses laboratory. SMS–cycler for realization of the “sms–algorithm”. 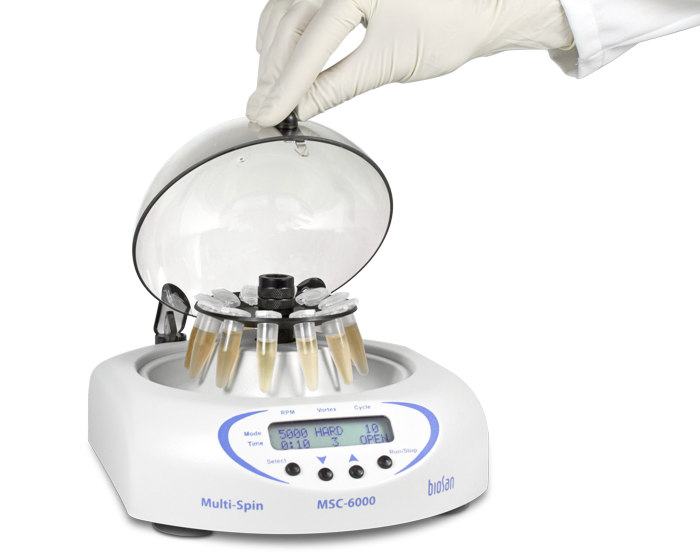 Multi–Spin allows considerable time saving compared to Combi–Spin by automatically performing cycling program of sample mixing and spinning according to the set spin–mix–spin cycle for 12 microtubes simultaneously. 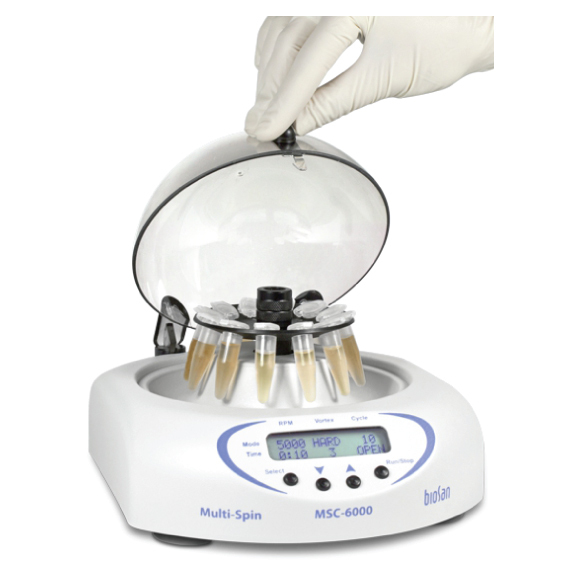 12 Compact Bench-Top Centrifuge, 14,500rpm. MPW-352 LABORATORY CENTRIFUGE 18,000 RPM.